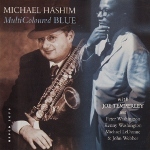 Michael Hashim CDs @ Hep Records, jazz in depth from the 1930's to the present day. 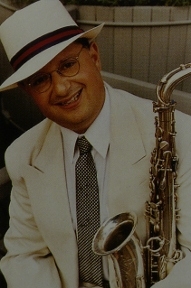 One of the most accomplished saxophonists currently working in New York. His playing embodies a deep knowledge of earlier styles and also the post Parker experience. In the 1970's and into the 80's he led the 'Widespread Depression Band' which was dedicated to the swing style of the mid-thirties. Since then he has worked largely as a soloist and has toured with widely differing bands and singers. This new collection of Kurt Weill compositions is his third collaboration with HEP Records. The first was a joyous celebration of Fats Waller's music and featured trumpeter Claudio Roditi "Keep A Song In Your Soul" CD 2068. This was followed by a tribute to Billy Strayhorn with Joe Temperley as guest soloist on "Multi Coloured Blue" CD 2075. As in the previous album the rhythm section comprised of Michael LeDonne, Peter Washington and Kenny Washington. This new issue "Green Up Time" CD 2079 is again a departure as it features the highly individual compositions of Kurt Weill whose reputation was secured in pre-Hitler Berlin as associate of playright Bertholt Brecht in "The Threepenny Opera". His music is at once sardonic and sinister and yet with a romantic undercurrent. When he arrived in America he gravitated towards left wing writers and in 1938 he collaborated with Maxwell Anderson on "Knickerbocker Holiday". The play was set in New York or New Amsterdam as it was first known and dwelt on civic corruption - a theme familiar enough to Weill - and from this came his best known 'American' composition "September Song". In 1941 "Lady in The Dark" opened on Broadway with rising star Danny Kaye, and from this musical Hashim and bassist Dennis Irwin give the tune "This Is New" a swinging workout. Weill's subtexts were always political and by the end of the war the American public wanted to escape to what they fondly believed was the real America - the agrarian mid west - and Rodgers and Hammerstein were only too pleased to supply "Oklahoma" and "Carousel". These were to set the tone of the Broadway musical until the urban situation was again given expression in "West Side Story" in 1959. This CD collection mostly features Weill's earlier compositions and Hashim in collaboration with arrangers Wayne Barker and Will Holshouser succeed in remaining faithful to the original moods while giving a twist of modernity especially in the iconoclastic "Alabama Song". Weill remains one of the most influencial composers of the Twentieth Century. His work, suffused with his socialist convictions has never really attained universal popularity but is capable of intriguing jazz interpretation as demonstrated on Green Up Time. Kurt Weill died on April 3, 1950. "Keep A Song In Your Soul"
Plays Fats Waller with Dennis Irwin, Richard Wyands and Kenny Washington from 1996. Titles - Keep A Song In Your Soul / Get Some Cash For Your Trash / Two Sleepy People / Jitterbug Waltz / What Did I Do To Be So Black And Blue? / Fats Waller's Original E Flat Blues / Blue Turning Grey Over You / Prisoner Of Love / Honeysuckle Rose. Michael Hashim with Claudio Roditi - "Jitterbug Waltz"
An album of Billy Strayhorn compositions performed by Michael Hashim with Joe Temperley, Peter Washington, Kenny Washington, Michael LeDonne and John Webber recorded at the Van Gelder Studio, N.J. during 1998. Titles - Triple Play / MultiColoured Blue / Just A-Sittin' And A-Rockin' / Suite For The Duo / Chelsea Bridge / Clementine / Strange Feeling / Ballad For Very Tired And Sad Lotus Eaters / Snibor. A programme of Kurt Weill compositions arranged by Michael Hashim with Dennis Irwin, Kenny Washington and the Axis String Quartet. Titles - Green Up Time / Tango Ballad / Love Song / In a Tower Room / Lost in the Stars / This is New / Barbara Song / Solomon Song / September Song / Alabama Song. Michael Hashim - "Tango Ballad"